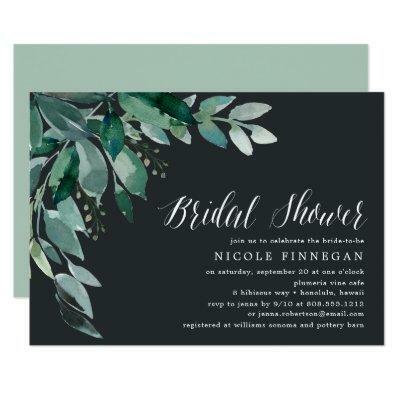 Chic bridal shower invitation features lush green eucalyptus leaves illustrated in watercolor, on a chic off-black background. Personalize with your bridal shower details in white, aligned at the right. Cards reverse to solid light green.